The Crystal of the Day for Friday 1 November 2013 is Yttrium Fluorite. Yttrium Fluorite is a powerful high crystal energy stone that aids both mystical and spiritual growth. This is a rare stone that is also called Lavender Fluorite. This beautiful high frequency stone will help you with developing your intuition, as well as promoting the growth of a range of psychic abilities. It is a high vibration stone that will help you when your psychic gifts are expanding, as it has an amazing energy to assist psychic and spiritual growth. It is rare and unlike other types of fluorite, it commonly forms in masses rather than in crystals. 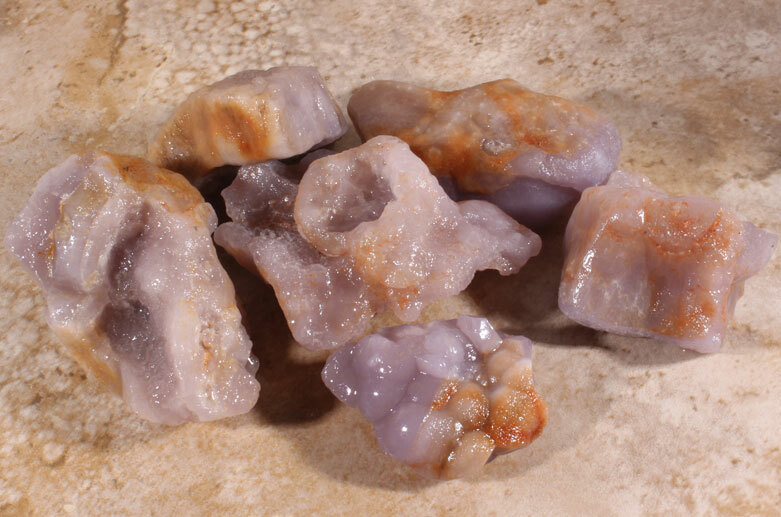 It is a powerful stone to use at the crown chakra, soul star chakra and higher transpersonal chakras. It aids your mind to be better organised, and this helps you when you are making a spiritual connection. This high crystal energy stone has strong metaphysical properties. These attributes promote insight and aid greater proficiency when using your specific personal abilities. Yttrium Fluorite elevates your on-going spiritual growth in a variety of ways. If you wish to increase your psychic powers and to develop your intuition this is an excellent stone to utilise. It is especially good for people who wish to work as a medium or in the field of psychic counseling. Mediums who channel spirit and have used this stone validate its strong ability to strengthen your capability and expertise when using these gifts. Its energy gives you a strong ability to strengthen your connection to your higher self and to spirit, when making the connection to contact those on the other side of the veil. It aids the development of clearer psychic visions and clairvoyant abilities, as well developing stronger psychic knowing. This psychic gift is closely related to automatic writing, which can be developed by daily writing in a journal. By doing journaling every day this may allow you to receive written communication directly from spirit. Yttrium Fluorite creates calmness and serenity with a gentle yet quite profound vibration. It resonates strongly at both the heart chakra and within the higher heart chakra, also known as the thymus chakra. Yttrium Fluorite may assist you to channel spirit, and can help you to contact your spirit guide. It may aid you if you are a psychic reader as it brings through an amazing connection to the higher chakras. When holding the stone it brings greater clarity to psychic visions, commonly called clairvoyant abilities. It is also said to promote an increase in your ability to manifest, especially an increase in personal wealth, and they may help you to manifest money. By using one of these lovely lavender stones you may empower your life and as you unlock your imagination you can use these gifts to manifest those things that you desire. This is partly because it is so stimulating to the mind as well as to the imagination. It has the potential to make you quite ungrounded after only a few minutes use so using it with a Black Tourmaline, Black Andradite Garnet, Axinite or other spiritual grounding stone is advisable. Some specific high vibration stones that you might use with this stone could be Tremolite, Danburite, Herderite, Moldavite, Natrolite, White Azeztulite and Phenacite. If you are wish to accelerate your gifts of psychic visions or clairvoyance, stones such as Magnesite, Lapis Lazuli, Amethyst Crystals, Shattuckite, Ascension Stones and Labradorite will benefit by being used with it. To aid its mystical qualities combine it with Chalcopyrite or Tremolite.